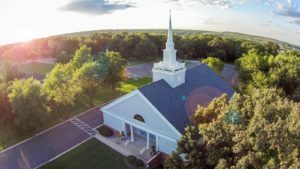 All children’s and teens’ teachers and workers at Independent Baptist Church are required to agree to and sign the Child Policy, attend an annual policy refresher meeting and pass a background check. Junior Church is a special time provided for children from age 3 through 2nd grade during regular services of the church. Our focus is to teach practical Bible principles relevant to our children including kindness, respect for self and others, obedience to authority, the power of prayer, and reverence for God and His Word. Our methods include Bible teaching, stories, music, and age‑appropriate crafts. We desire to be a blessing and help to the families who attend our church. Pee Wee Patch Club (www.majestymusic.com) is for young children, ages 3 through kindergarten and runs year-round 7:30 to 8:30 p.m. each Wednesday evening. The children enjoy singing songs, learning Bible verses, listening to stories and doing activities. It is a time of fun and learning designed to instill into young hearts and minds Bible truths and character traits. Kids4Truth (learnabout.kids4truth.com) (September – May) is for children 1st – 6th grade and meets September – May each year on Wednesday evenings at 7:30 p.m. Based on teaching 12 doctrines in a 2‑year period, this program incorporates Bible memorization, question and answer periods, children’s choir, game time and devotions. Each week the children learn a doctrine about God, along with a Scripture verse that reinforces the truth that’s been taught. There are 3 levels of learning and each club learns the same doctrinal question and answer along with a Bible verse. We are very excited about this club! A child may join the club at any time during the year, and visitors are more than welcome. We hope you will want your children to be a part of Kids4Truth where they will learn, grow, and have a great time. The Kids’ Summer Program is for children 1st – 6th grade and begins in June and ends in August each Wednesday Evening 7:30 to 8:30 p.m.